why delete my comment ? Cant you handle a bit of truth.? 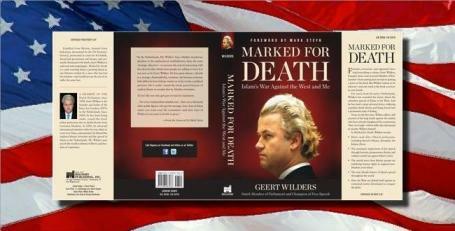 As Muslims you guys have no other option but to hate Geert Wilders but he is right on in his evaluation of Islam. Wilders has already been caught caught out for bending the truth. He relates that he was attacked and robbed by three “Arab youths”in the Kanaleneiland district in Utrecht, an area Wilders lived in for many years that has a higher than average immigrant population. His brother Paul Wilders (who doesn’t share his brother’s politics one little bit) tweeted that the 1994 attack did indeed take place, but on the Hugo de Grootstraat, which is a very plush part of town kilometres away on the other side of town where Wilders was campaigning as a candida for the right VVD (Liberals). Furthermore, there was no mention at all of the ethnic identity of his attackers reported at the time. Paul relates that at the time Geert had told him he hadn’t seen his attackers. His stolen articles were later found by a local fishmonger. This fascist Geert Wilders is such a xenophobic loser. He says he’s an atheist (I believe), but yet he support Zionist fundamentalism against the Palestinians (not to mention the extra irony there that Wilders always is attacking immigrants coming to Europe, who are coming largely from the legacy of European colonialism and continuing Western neo-colonialism causing poverty in their home nations, but Wilders completely supports the continued Zionist colonization of Palestinian land by displacing Palestinian natives with European, American, Canadian, and other Zionist “immigrants” aka colonizers in that context). This is good news. Hopefully, not only will his new book bomb, but all the “counter Jihad” blogs will begin to loose readership, as they are unable to change any of our laws and their ridiculous nightmare scenarios fail to materialize. I don’t think that we’ll get to point were blogs like this will be unnecessary, at least in the lifetime of anyone here, but maybe anti Muslim bigotry won’t be the problem that it is now within the next ten years. Maybe they’ll be no more prominent politicians like Wilders anywhere. Did you know that Muslim militants came to America because Militant America FIRST went to their Land? What goes around comes around, the enemy of Westerners is the US government and Zionism! The Christian Zionists who seek to install Christian Shariah and simultaneously help the New World Order, they are YOUR ENEMIES, not a bunch of Asians and Arabs from Lands which YOU OCCUPY.